Our company is offering you an easy way to have a spotless oven without having to deal with the work and spend hours scrubbing it. Our company is a cleaning agency and we deliver first-class professional cleaning services in the entire Central London and the area. Our company’s speciality is oven cleaning and we take pride in our efficiency rate and in our great customer service. We are a company that is unequalled in its cleaning services in the entire area and we invite you to choose us for help with your oven cleaning. We are aware of how difficult it is to efficiently clean and degrease an oven and that is why we are offering you our high-quality oven cleaning service. Call our company now and hire our professionals to clean your oven right away. Leave the dirty work and hours of scrubbing behind you and book our service for regular maintenance. 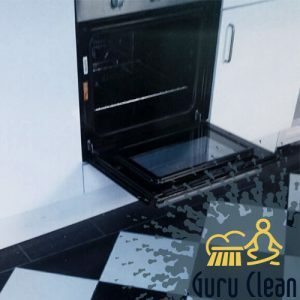 Our cleaners are experienced and can efficiently and safely degrease and deodorise any type of oven – microwaves, cookers, hobs, Aga ovens, range ovens, single and double, etc. Our service is affordable to people from the entire area and with all kinds of budgets. Our oven cleaning service will take care of your greasy oven. Our cleaners will take out all demountable parts – trays, grates, racks, etc. – and will degrease them. They will clean and degrease the exterior and interior of your oven, the door, the handle, the knobs, etc. Our cleaners will clean the oven thoroughly and will deodorise it. You can be sure that bacteria, grime and burnt-on food remains will eliminated promptly. You can trust us with your oven and rest assured that we will give you efficient results and a sparkling clean oven that will work perfectly. Make sure you hire our service for more regular maintenance if you want your oven to keep working properly. Our oven cleaning service is available in the entire Central London and it is unequalled. Call us soon.